This document lists the steps that I followed when I got cron working on my personal UK TiVo. Please note however that the links and instructions provided are for the versions of tools/files that I used, and may well not be the latest ones available. Note also that all information is provided without warranty and that you the user assume full responsibility if you decide to follow any of the steps or information providedin this document. Having got that out of the way, I hope that you find this document useful and that it makes your own TiVo upgrades easier. After this stage you should end up with files and directories with names and permissions listed as follows. The file dates may vary from the ones that are listed below, but assuming you grabbed the same cron tarball then the file sizes should be the same for /var/hack/bin/cron. Add "/var/hack/bin/cron &" to /etc/rc.d/rc.sysinit.author, and edit your /var/hack/etc/crontab as required. If things don't work and you need to debug them then you'll need the ps binary from http://www.xse.com/leres/tivo/downloads/ps and the ls binary from the tarball at http://tivo.stevejenkins.com/downloads/tivobin.tgz. If you haven't already installed these then see my TiVo installation diary here for a walkthrough of their installation. then every 10 minutes cron should write the current date into the /var/hack/cron.test.out file. There is an entry in crontab by default which does this, but its commented out, so just remove the leading # if this is the case. and so the process ID is the number in the second field, i.e. 401 in this particular case. To test a cron-enabled tool, for example DailyMail, there are two areas to test. Firstly, does the tool work ok when run from the command line, and secondly does it work when run from cron. With DailyMail for example, just run the dailymail.tcl script from the command line and see if it works ok.
even though you can type "sometool" at the command line. Instead you'll need to code the full path within the crontab entry, i.e. mm hh dd mm yy /var/hack/bin/sometool. If things still aren't working then.. If you've checked that the tool works from the command line, and tried specfifying the full pathname in the crontab entry, and cron still doesn't run the tool then cron does have some debug modes which can be of help. The process numbers, and crontab lines will differ depending on what you coded into your crontab. But the key thing is that for each crontab entry which you put in your /var/hack/etc/crontab, you should see a "load_env, read" ... "load_entry() ... about to parse command" ... "load_entry()...returning successfully" set of output lines. then it means that you still have the background cron process running and didn't kill it off completely, so kill it off and retry the command. user [cron:0:0:...] cmd="/var/hack/scripts/summerzone.sh || /var/hack/dailymail_jazz.sh &"
user [cron:0:0:...] cmd="/var/hack/scripts/summerzone.sh && /var/hack/dailymail_jazz.sh &"
user [cron:0:0:...] cmd="/var/hack/scripts/summerzone.sh || date >/var/hack/dailymail-run &"
user [cron:0:0:...] cmd="/var/hack/scripts/summerzone.sh && date >/var/hack/dailymail-run &"
user [cron:0:0:...] cmd="/var/hack/scripts/summerzone.sh || /var/hack/dailymail.tcl  >/var/hack/dailymail.out 2>/var/hack/dailymail.err &"
user [cron:0:0:...] cmd="/var/hack/scripts/summerzone.sh && /var/hack/dailymail.tcl >/var/hack/dailymail.out 2>/var/hack/dailymail.err &"
until its time to launch a cron entry. If you Control-C, then force a cron task to be launched by updating the crontab file and setting the timestamp on an entry to (now + 1 minute), then re-do the cron command then you should see a task launched. user [cron:0:0:...] cmd="* date >>/tmp/blah"
this cron entry was successfully launched, and completed without errors. However if you are seeing errors from the forked process then hopefully the error messages should give you some areas to focus your attention on. to re-launch cron in the background. I've noticed that when logging out of my TiVo after starting commands off in the background then the logout completes but the telnet session isn't always closed off. I just kill the telnet window manually in those cases. "DayOfWeek" is the Unix "Day of Week" number, this is 0 through 6 for Sunday through Saturday. i.e. 0=Sunday, 1=Monday, ... 6=Saturday. "Command" is the command to be run, any valid command-line. There are various special characters which you can use within the fields. An asterisk in any field means "match any value", e.g. every day or every month. Commas in any field means that multiple values are specified, e.g. in the "Day of Week" field 1,3,5 would mean Monday,Wednesday,and Friday. Dashes specify ranges, e.g. 9-17 in the hours field would mean every hour between 9am and 5pm inclusive. A forward slash means a repeating event, e.g. */10 in the minutes field would mean every 10 minutes. - On your web server, mkdir <apache_root>/htdocs/tivo/dailymail_jazz. - You should now be able to type "/var/hack/dailymail_jazz.tcl" on the command line, and all being well you'll receive your dailymail_jazz email shortly afterwards. to have dailymail run at 06:20 every day. For some reason the other night tnlited fell over in the small hours and so I couldn't telnet into my TiVo next morning. 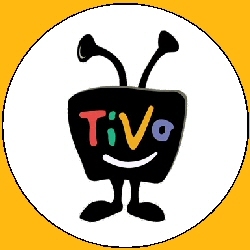 TivoWeb wasn't running (and I didn't have HackMan installed anyway) so I couldn't restart it that way, and I was 300 miles away from home so I couldn't reset it from the UI. to the crontab, then ftp it back. Then I waited until 12:20 BST and telnetted back into the TiVo on port 24. That gave me a shell, I then relaunched tnlited with its proper run command, and and started up tivoweb again (and removed the temporary tnliteds from the crontab). The reason I put two tnliteds in the crontab an hour apart was because I couldn't remember if the effective timezone for cron was GMT or BST.